Similar to Handheld Handheld Computers, Wearable devices provide the same powerful computing and wireless connectivity, while freeing up your hands for other tasks. You'll often find these devices in pick-and-pack applications where increasing efficiency means having your hands free. Wearable Handheld Computers are the perfect fit for voice driven applications and increased worker productivity. PA700 MCA, Healthcare, HF RFID, 2D Imager, NFC, Camera, GPS, 375G WAN, WiFi, Bluetooth, Android 41, Battery, USB Cable, Power Adapter. Interface Cables And Charging Cradle Sold Separately. PA720, Wi-Fi, 2D Imager, 4G LTE, Camera, NFC, GPS, Bluetooth, Android 6, USB Includes Power Adapter. Interface Cables And Charging Cradle Sold Separately. PA720, Wi-Fi, 2D Imager, Camera, NFC, GPS, Bluetooth, Android 6, USB Includes Power Adapter. Interface Cables And Charging Cradle Sold Separately. Mobile Computer, PA700, 2D, BT, WIFI, 375WWAN, Camera, GPS, HF, NFC, With Extended Battery And Extended Battery DOOR. Interface Cables And Charging Cradle Sold Separately. 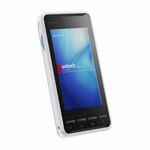 Mobile Computer, PA700, HEALTHCARE, HF RFID, 2D Imager, NFC, Camera, Bluetooth, WIFI, Android 43, Battery, USB Cable, Power Adapter. Interface Cables And Charging Cradle Sold Separately. Mobile Computer, PA700, 2D Imager SE4710 SCAN ENGINE, NFC, Camera, GPS, 375G WWAN, WIFI, Bluetooth, Android 43, Battery, USB Cable, Power Adapter. Interface Cables And Charging Cradle Sold Separately. 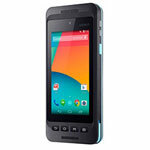 PA700 Port Data Term, PA700,2D IMG, 4GVERIZ, Wi-Fi, Bluetooth, Android 43. Interface Cables And Charging Cradle Sold Separately.